The medical work at Chitokoloki has continued for over 60 years and comprises of a 180-bed hospital, in two different areas, for acute and ambulatory patients. In addition there is also a section of the Mission known as the Colony which is a leprosarium with 110 dwellings for TB and leprosy patients, long-term accommodation for some ex-leprosy patients and older people who are more welfare cases with no one to care for them. 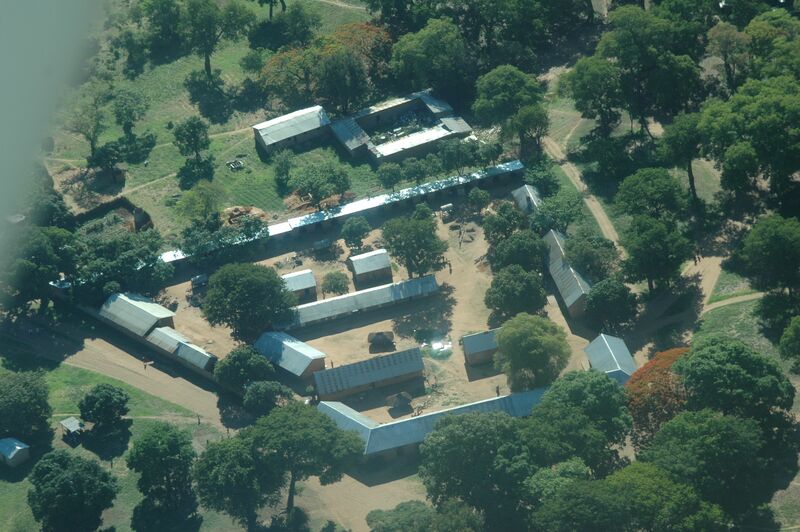 Since 1979 an emphasis has been placed on primary health care and the surrounding area within a 40 km radius is also served by 3 satellite clinics of which two of them are on the West-bank of the Zambezi River. The main hospital is comprised of four large Wards, three smaller Wards, three Operating Rooms, X-ray and Ultra-sound department, Sterilizing and Instrument rooms, Eye and Dental clinic, Pharmacy, Emergency room, 6 bed ICU ward, Maternity department, Kitchen, Laundry and Reception area. There has recently been added a large bulk storage area for sorting and storing medical supplies. 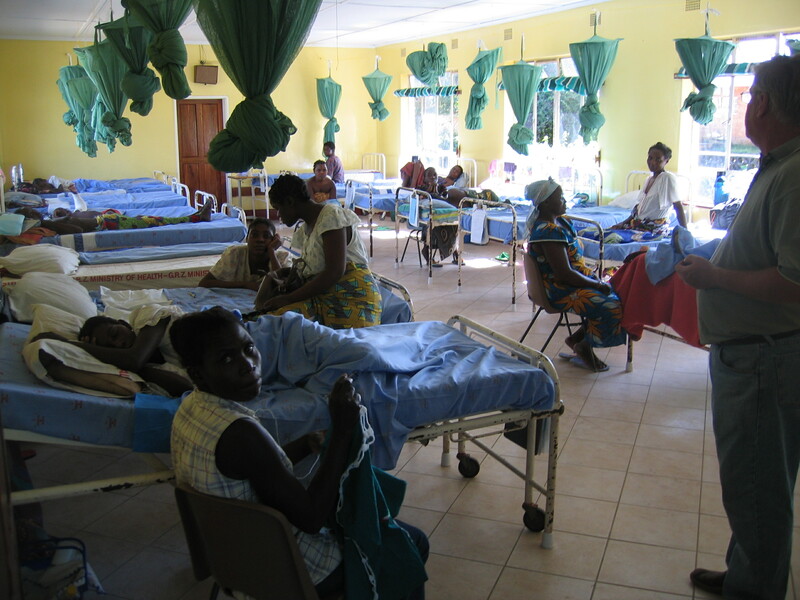 The main section of the hospital mentioned above is known as Kariba where the patients needing the most critical care are admitted and all post-op care is done in this area. The second section close by to Kariba is known as “Old Hospital” as this was originally the main hospital when the medical work was started. In this area there are 88 beds in several wards and buildings, modern laboratory, out-patient screening area, offices, ART Clinic, Under 5 Clinic, a classroom for skill training and a teaching room. The rest of the area is accommodation for women awaiting delivery, some out-patients who come from a distance and some of the relatives of the patients also stay in Old Hospital. In addition a new area has just been developed called “Nyachipopa” which is where the majority of the relatives who accompany the patients who come from long distances stay. Two wells have been drilled in this area and shelters erected to help the many relatives who stay in this area. At the Colony they have their own clinic, kitchen, offices and also a tannery and shoe-making workshop where special shoes are made for the leprosy patients. Many of the people staying in this area are admitted for longer periods of time. Patients coming for medical care are not charged any fees for any services and those admitted are fed and cared for during their stay at hospital. 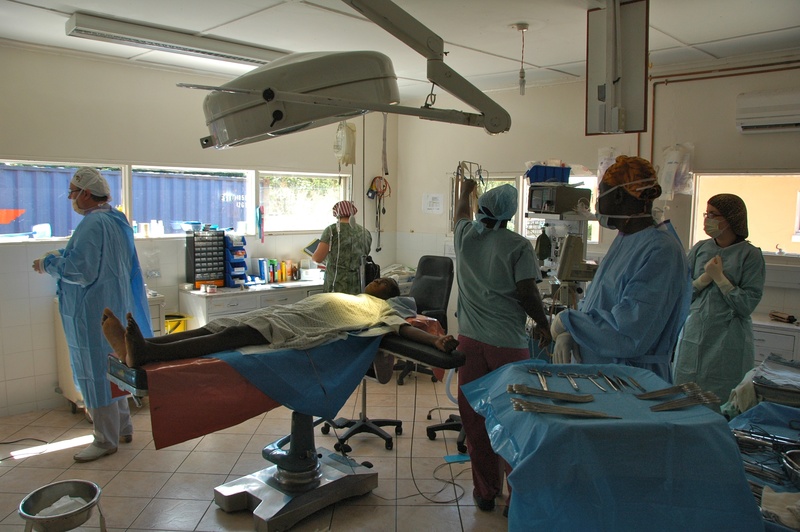 Many patients keep coming from even greater distances each year for medical help, especially for surgery as the Hospital has excellent Theater facilities and a very qualified staff. One of the important new factors is that Chitokoloki now has a modern ICU (Intensive Care Unit) which has monitoring equipment and oxygen concentrators etc. to meet special situations. Recently a new modern theater and storage areas were added and piped oxygen and suction now is available in all three theatres. A separate bulk storage area at the rear of the hospital is for storing the extra medical supplies and equipment. Over the last couple years a major improvement has been added with the installation of solar panels, complete rewiring and a large battery bank which is capable of handling almost all the electrical demands of the hospital. This has made a tremendous improvement as now both of the hospitals have 24-hour power and equipment that previously could run for just a short time can now be used all the time. Deep bore hole wells have been drilled at both hospitals to provide clean water which is a tremendous improvement over the water that has previously used from the river. 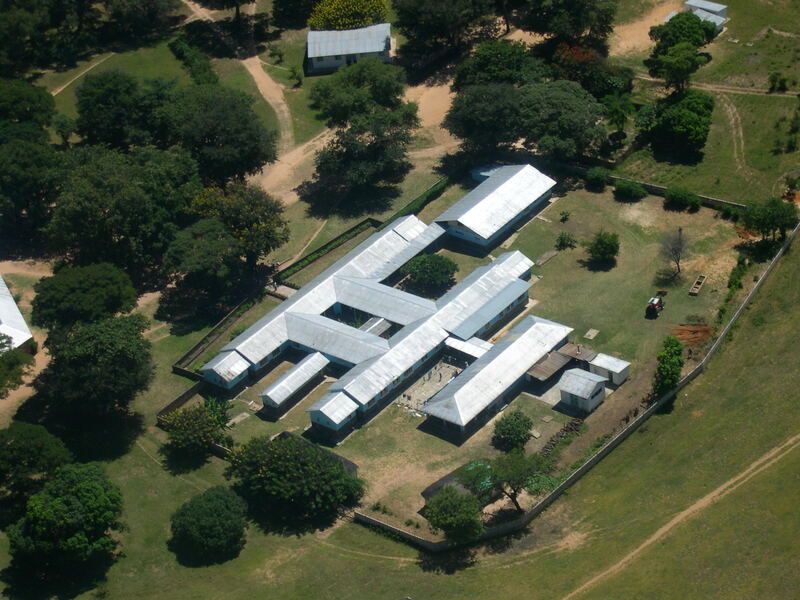 The 900-meter landing strip at the Mission, was upgraded, graveled and a hanger built for the plane which is used quite frequently for bringing patients and personnel to the hospital from other areas of Zambia, including Lusaka, which is a three-hour flight. The immediate catchment area is of approx. 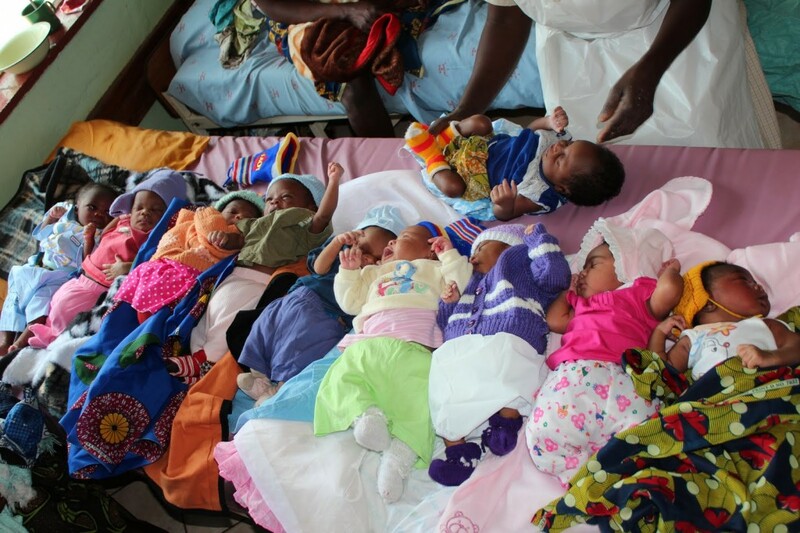 21,000 people but statistics have shown that 65% of the patients coming to the hospital come from great distances beyond the immediate area including neighboring countries. 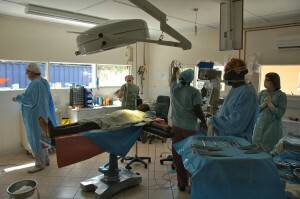 Vehicles arrive almost daily bringing patients from distant places for medical and surgical help.